Oral Health Access Santa Cruz County (SCC) represents the broad range of partnerships necessary to establish equitable oral health care access. Our mission is to improve the oral health of Santa Cruz County by uniting stakeholders and advocating sound, measurable strategies that increase access to care and education. Dientes Community Dental Care commissioned the first-ever oral health needs assessment of Santa Cruz County to quantify the demand for oral health care and determine how to address it. Barbara Aved Associates, a leading dental healthcare consulting group, was engaged to conduct the study using third-party research, interviews and a survey of the Monterey Bay Dental Society. The resulting report, Increasing Access to Dental Services for Children and Adults on the Central Coast, outlined a need that was much greater than any one organization could tackle and more urgent than most realized. To respond to the pressing need, Oral Health Access Santa Cruz County was established. This steering committee, of local health industry experts, community leaders, and education advocates, will work to define concrete ways to address one of the county's major hidden health epidemics. What is “Increasing Access to Dental Services for Children and Adults on the Central Coast”? Increasing Access to Dental Services for Children and Adults on the Central Coast is a needs assessment commissioned by Dientes Community Dental Care that addresses the barriers, resources, access and utilization issues related to oral health in Santa Cruz and Monterey counties. The needs assessment was prepared by Barbara Aved Associates, a Sacramento-based, dental healthcare consulting firm. Why is oral health so important? The importance of visiting the dentist is often overlooked, but not receiving dental care can have serious consequences. Poor oral health is linked to heart disease, diabetes and Alzheimer’s disease. For pregnant women, certain oral health issues are associated with premature birth and low birth weight. Untreated dental pain can cause people to miss school or work. It can make it difficult for seniors to eat. For children especially, it can be hard to smile and fit in socially when they are insecure about their teeth. How does this affect Santa Cruz County? The need is massive. 80,000 people covered by Medi-Cal in Santa Cruz County, only 25,000 are able to visit the dentist. Out of 58 private dental offices in Santa Cruz, only 10 take Denti-Cal, and the five clinics are at capacity. The needs assessment also revealed that very few adults who are on Medi-Cal actually receive dental care, and in general seniors on Medicare have no dental benefits. Although dental coverage is required to be made available for children under all health care plans, 30.8% of children in Santa Cruz under the age of 11 have never visited a dentist and almost one-quarter of all pre-k children have untreated dental decay. Access to dental care must be increased in order to improve the quality of life of Santa Cruz County’s residents. Why was the Oral Health Access committee created? The needs assessment, Increasing Access to Dental Services for Children and Adults on the Central Coast, outlines an urgent need for dental care that is much greater than any organization can tackle alone. As a result, the Oral Health Access Santa Cruz County steering committee was created. This group of local health industry experts, community leaders, and education advocates, defined concrete ways to address one of Santa Cruz County’s major hidden health epidemics and presented the Oral Health Access Strategic Plan 2017-2020 at the December 2016 Oral Health Summit. Who is on the Oral Health Access steering committee? Oral Health Access Santa Cruz is co-chaired by Dientes’ Dental Director Dr. Sepi Walthard and Santa Cruz County Supervisor Zach Friend. Dr. Walthard is a public health advocate who is dedicated to serving the community. After spending several years in a corporate dentistry leadership role, she returned to her passion of community dentistry. She is ardent about leading this committee. Supervisor Friend has spent his adult life committed to public service. While he has experience working in the White House, the United States House of Representatives and the United States Senate, his greatest impacts have been in local government. He is enthusiastic about working for the community, and collaborating with community leaders. 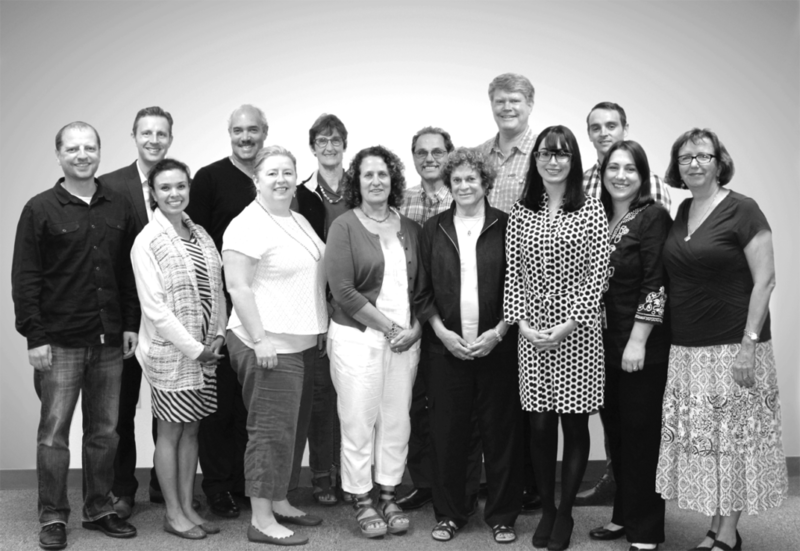 The Oral Health Access Santa Cruz steering committee includes representation a variety of organizations. What was the Oral Health Summit? Held on December 5, 2016, the Oral Health Summit was a community briefing where the Oral Health Access Strategic Plan 2017-2020 was released. As part of the plan, champions for each of the goals were announced. An annual report card will be released annually to communicate progress towards the goals. How can I help? Who can I contact for more information? Community leaders, healthcare practitioners and education advocates will continue to work on this serious issue and will need support in their efforts. Click here to get involved.